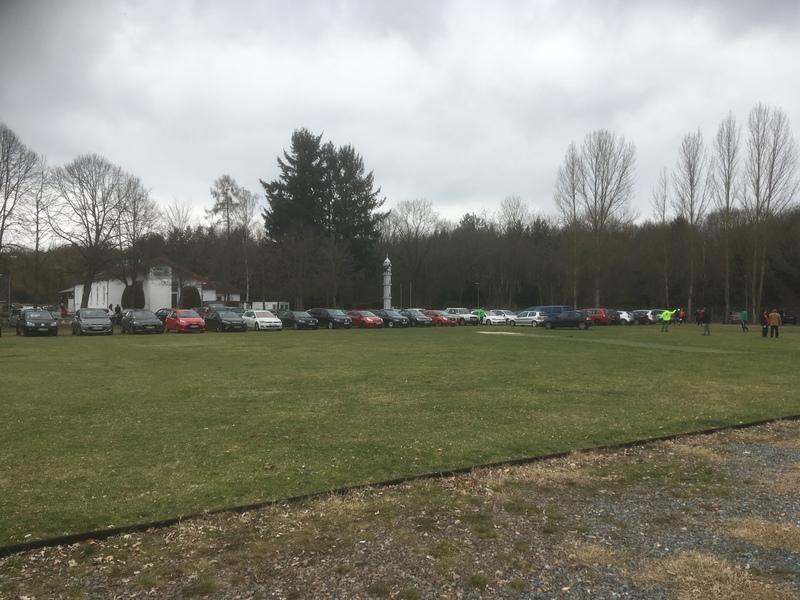 It’s that time of the year again – Helau! 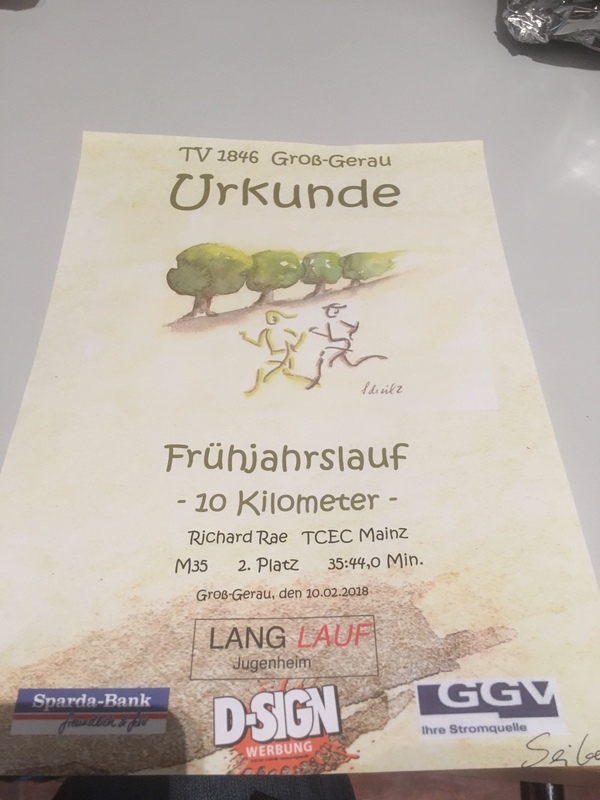 – no that isn’t what I’m bothered about, the Groß-Gerau Frühjahrslauf is on Fastnacht Saturday every year. In 2016 I ran my current PB 10k race there, it was a bit of a shock result, but great for me in my run up to Rotterdam. Last year I bombed and ran nearly 2 minutes slower, it was a nightmare run. This year I feel like I should be able to beat my PB, and by a fair amount too. Sub36 at least. The race starts at 3pm, and as I was flying solo, I got the train that arrived at just after 1pm and I cycled to the start. I was there far too early, just over 90mins before the start. So I just kind of lingered after dropping the ‘kids off at the pool’. I met a few people I kind of know before the race. 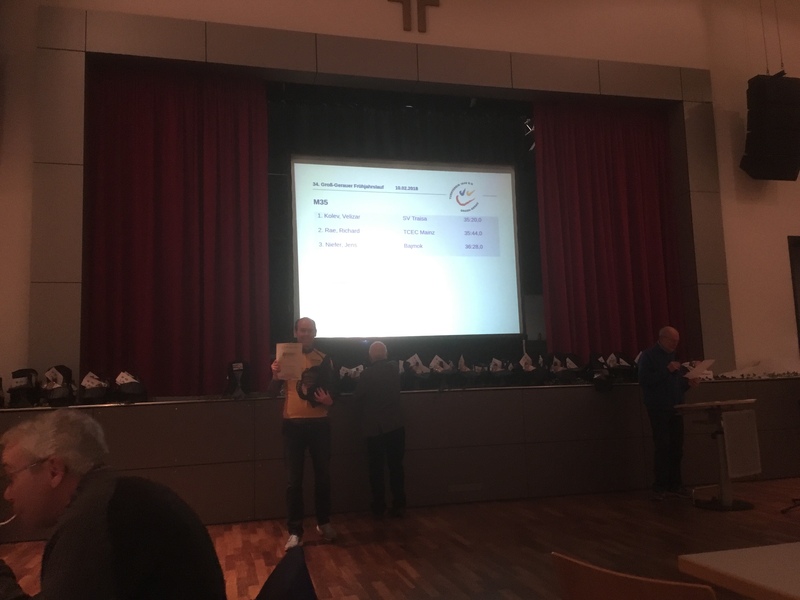 One (Tim) who is generally faster than me and one who is normally slightly slower (Michael – he beat me in Ebersheim 2017 – the race with no race report!). The start was a bit of a nightmare. I was a few rows back and plenty of idiots had pushed to the front, so I had plenty of overtaking to do. After about 800m I could get into my stride and tuck in behind Tim. I passed the optimistic starters and was passed by someone, a rarity when I race well! The course was a bit wet and I felt like it wascovered with more stones and less even than it usually is. There was almost always a camber too. It wasn’t too bad except for a short part that was flooded and a wooden bridge that had ice on it! My feet were sore in my Zoom Flys after about 6km though. I heard after the race that they were squeeking as I ran, odd. The race itself was fairly uneventful. I passed the 5km mark and saw 18:00 on my watch. I could have cried! My split from 2 years ago was 18:00 (Strava shows I actually split 18:11), but I wanted to run much faster now. Without making a big move, I seemed to pick up my pace by a second or two per kilometre and soon I was closing in on 2 guys in front of me. They’d been within 50m pretty much the entire race, and ekpt up a pretty steady pace. I think it was between 7-8km that I passed the first guy. After nearly 9km that I passed the 2nd, who cheered me on as I passed, nice guy! I knew that I should at least manage a PB, as my pace hadn’t fallen in the 2nd half. I felt fairly confident of a sub36 as I was running ever faster. The last 500m hurt. I felt like I was wheezing a little, but I pushed on to the finish line at crossed in 35:44! I was done. I mean full on panting for 30 seconds after the finish line, but I had rescued my day. Yes, I had dreamt of a sub35, but that seems overly optimistic right now. I’d thought a 35:30 could be on. In a road race I think I might have managed that, the trail wasn’t perfect today, even though the weather was. I can’t be too upset with a 40 second PB and my first ever sub36 though. After a light jog with some guy who I have met at a couple of races, I cycled to the town centre where the prize giving was. I hadn’t attended in the last 2 years. The first year because I didn’t know where it was, and last year because I ran so badly that I just wanted to go home. It was actually a nice place, and the prizes were good. I got a running rucksack, a bottle of orange juice and a bottle of cava for 2nd place in my age group. The coffee and cake were tasty and cheap too, perfect for post race binge eating! 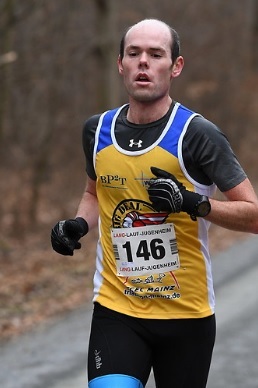 I had thought that this would be my last race in my M30 age group, but apparently it just goes from year of birth, so it was actually my first race in M35 instead 🙁 I would have been 2nd in either age group, so it doesn’t really matter anyway. 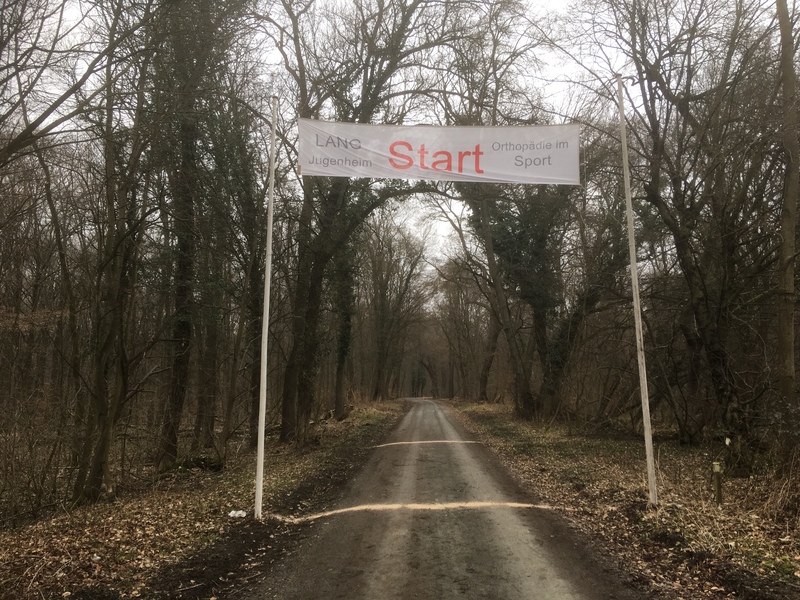 I am think that I might run Mörfelden as a up-paced long run next weekend, then Langen 10k full out the week after. That will leave Kandel/Frankfurt half marathon before Paris. I’m not 100% sure of my plan at the moment, I’ll decide in the next few days. If I race Langen, I want to take down 35:30!